Only 4% solidarity commission - so your crowdfund shoots past 100%! Goteo Spring has brought several changes and improvements that we have been enthusiastically preparing, as we explained in our previous post. 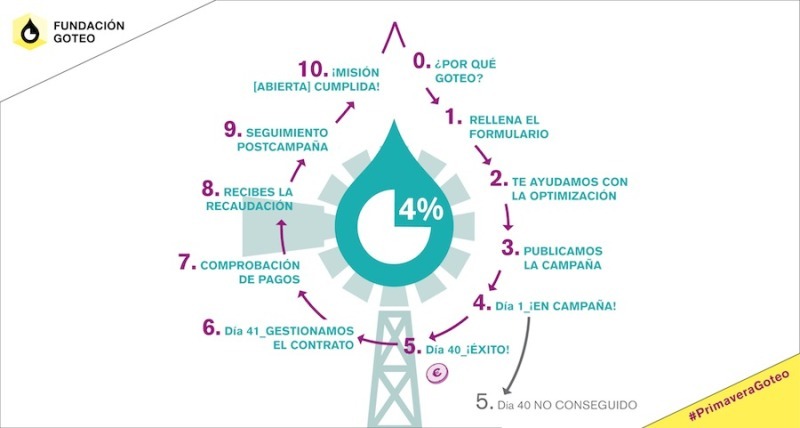 One of those changes is that we’re now applying one of the lowest commission rates of any crowdfunding platform, Spanish or international: our rate has dropped to just 4% if your campaign reaches its funding goal (otherwise, there's no associated costs - and not for those who've donated to the project, either). This improvement has been made possible thanks to the continued support of the thousands of people who have co-financed projects since we started three years ago, as well as to our high campaign success rate - almost 70% are successfully co-financed, and often exceed their minimum target. 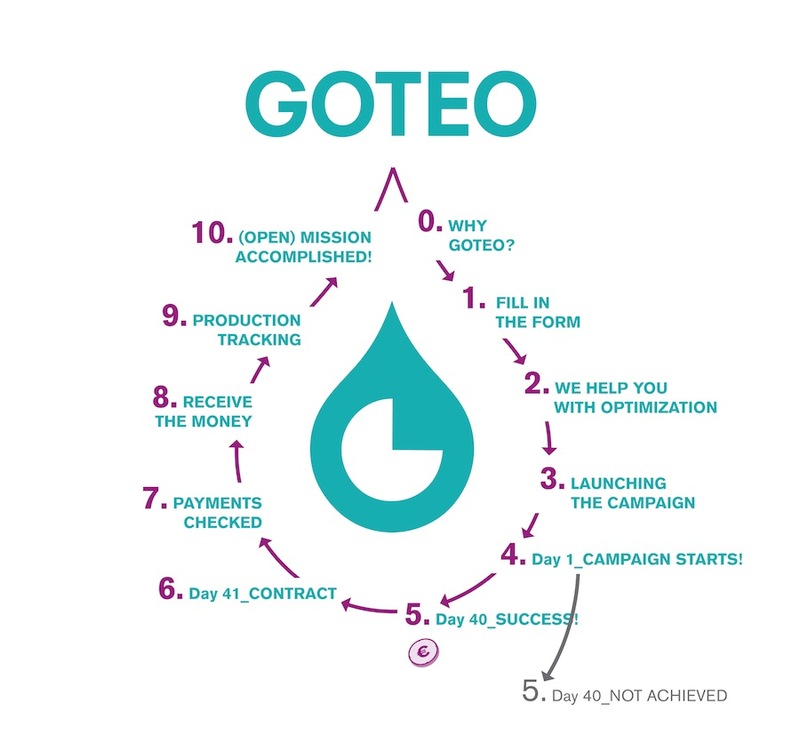 We're a non-profit - that's one of the many unique features of the "Goteo model". Our commitment is to keep working from a civic, open and collaborative perspective, adapting to the environment and helping to maximize the achievements of the abundant variety of projects that reach us every day - including civic, cultural, educational, technological, entrepreneurial, ecological and social. 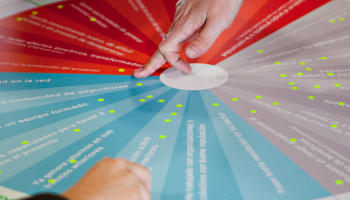 This is our own version of the collaborative economy, which we try to implement with responsibility and sustainability. We don’t aspire to speculate with profit, but to create sustainable models that benefit the local environment and society. 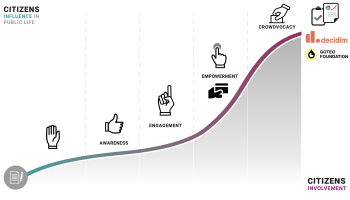 In our case, it’s because we work on alternative sources of funding, fundraising, and innovative training services to make Goteo work, as well as mechanisms that match our mission to help generate open resources, social impact, digital Commons and solid examples of social innovation. After learning more about Goteo if you need to, you just have to access our guided form and submit a first version of your crowdfunding campaign. If we see that the project fits with Goteo, we will advise you on how to improve and optimize your proposal. From the first day, you will receive advice and see revenue graphs in your panel to help your funding target. As you progress, we will help with dissemination through different channels. the project is shelved, or if you've decided to only have a single round). 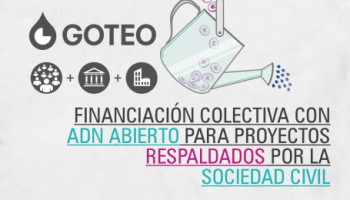 After the first round, we will activate the documentation and contract with Goteo, which lets us send you the money raised with maximum agility. After the campaign, we will send you a report and create a detailed follow up to resolve all possible issues that come up around payments, making sure you get the maximum strength out of your crowdfunding. Approximately 10 days after the first round ends, we will send you the money earned, minus 4% to reinvest in our Foundation (and about 1% commission for the payment platforms). Your initiative goes into production or post-production and, as agreed, you'll send the rewards promised to your donors, as well as generate and publish the collective return of the project. Surprise us with your proposal!